There are events in one’s life, big and small, which are life-defining and life-shaping, even though at the time you might not know it. Meeting Bobby Sands for the first time became for me life-defining. We were both in our early twenties when we first met. It was early 1976. I was finding my fledgling feet in Sinn Fein’s first and equally fledgling press centre on Belfast’s Falls road under the omniscient eye of its first press officer Tom Hartley. Bobby had called into the centre for help in publishing a bulletin called ‘Liberty’ for the people of Twinbrook where he lived. We laboured over a hand-cranked Gestetner printer, an ancient contraption even then, trying to produce the bulletin. I met Bobby again before the year was out and the circumstances could not have been more different. We were in a cell together in Musgrave Street barracks discussing how to respond to the decision by the British government to withdraw political status for political prisoners. Little did we know then the full implications of that discussion for Bobby and his comrades. Our paths crossed several times after that. I visited Bobby before and during his hunger strike. The last time was just a few days before he died on May 5 1981. Bobby Sands would have been 60 last Sunday. while he was in the h-Blocks prison hospital shortly before he died. I never met Kevin Lynch or Mickey Devine but I feel as if I did through the stories I heard from those comrades who were in prison with them. 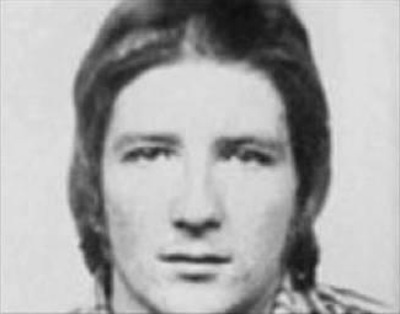 When republicans recall the self-sacrifice and nobility of those who died on hunger strike in the h-Blocks of Long Kesh in 1981 we are mindful that they followed in the footsteps of two Mayo republicans, Michael Gaughan and Frank Stagg, who died on hunger strike in english prisons, in 1974 and 1976 respectively, in defence of Ireland’s historic claim to nationhood and independence. Kieran Doherty TD for Cavan/Monaghan and Paddy Agnew, a protesting prisoner, TD for Louth. Owen Carron, Bobby’s election agent, went on to win Bobby’s seat with an increased majority in the subsequent by-election. The bravery of the hunger strikers not only drew mass sympathy and endorsement from thousands of people at the ballot box it propelled the leadership of Sinn Fein along the electoral path long before they might have otherwise decided to do so. The hunger strikes led directly to Sinn Fein contesting elections to Dail Eireann, thereby ending 60 years of abstaining from parliamentary elections. Shortly after his death Bobby Sands became an international symbol for people fighting injustice. His image sits alongside that of Che Guevara. On his 60th birthday, the 27-year-old’s youthful iconic image, that adorned the telegraph poles and lamp posts across Fermanagh/South Tyrone, retains its popular appeal and instant recognition. Such is the interest in Bobby Sands that the diary he wrote while on hunger strike has never been out of print nor has the book about the hunger strike Ten Men Dead. Steve McQueen who recently won an Oscar for 12 Years a Slave was inspired by Bobby Sands to make his multiple-award winning film Hunger. Bobby’s writings in dungeon-like conditions are impressive in terms of content, fluency and style.